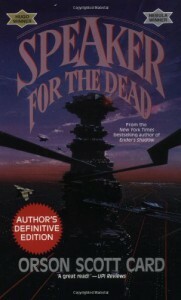 I read this book in a day and had been itching to get my hands on it from the moment I had finished Ender's game. I was wondering whether Orson Scott Card would be able to follow up and my expectations were extremely high. I was NOT disappointed! I loved this book, even more than the first one and I'm not sure I can exactly pin point why. The story just flowed beautifully from beginning to end. I had been gripped by the young Ender's story in book 1 and now he had grown up and through his travels in space eating away at the centuries on Earth and a rather clever universal communications system, Ender was a legend in his own lifetime - and not in the best way - very cleverly written with new characters equally as exciting as those of the previous book, another race of aliens INCREDIBLY and INGENIOUSLY crafted along with the world they come from. I am now itching to carry on and read the next book in the series and I am hoping their will be a film of this one too in the future - can't wait for Ender's Game to come out in the cinema now! Wow! Loved this book and I can't wait to read the rest in the series. 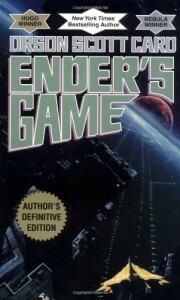 I was hooked from the first page and wanted to be there for Ender's entire journey throughout the book. I was really invested in his life, saw through his eyes, felt his pain and wanted to join in with his battles and I was very impressed with the whole universe this author created - right down to the virtual universes inside the games Ender and his fellow child-soldiers played. Fantastic twist at the end! 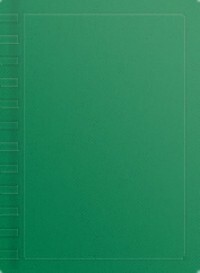 I just saw this book on someone else's shelf and thought I would put a quick review in here. 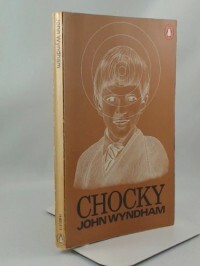 I read this book a good 10 to 15 years ago now I think, not sure exactly how long ago but I was writing a science fiction novel involving time travel and thought I had better give it a go. My family thought I was mental and that it would be too hard to understand, but actually this book is very well written with the layperson in mind. I found it extremely interesting from what I can remember. Yes, of course it was hard going and probably most of it I didn't understand, but if you are interested in the notion of time then I really do highly recommend that you give it a go. 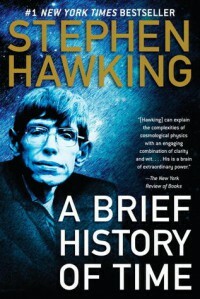 I also remember being very impressed with Stephen's writing and the way he mixed science with his own philosophical musings. 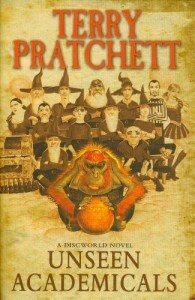 Another great Terry Pratchett book. If you love Terry Pratchett's discworld and you are a lover of foot the ball - football to you and me - then I'm sure you will love this story. I particularly liked the 2 little sort of love stories that were interwoven, between Mr Nutt (a rather civilized and know it all Orc) and Glenda (the Unseen University's night kitchen cook and lover of the romantic novel and excellent baker of pies) and the Likely lad 'Trevor Likely' (a legend in his own lifetime of 'kick the can') and Juliet (the beautiful assistant to Glenda who becomes a top Super model for Lady Dwarf chain mail). The book is Pratchett's usual clever mix of funny fantasy and whimsical philosphical observations of human nature in all its guises. I have to say however, that I found this one a little long-winded and round the houses and hense hard to get into. I finished it eventually because I wanted to see where it was going but because it was such a big book, it was hard to read it quickly enough to keep my interest going I'm afraid. I loved this book - I read it when I was a teenager and then re-read over and over - fired me up for myths and legends and the ancient alien theory. Very imaginative - This is such a clever story, the way the characters travel across time via the waterways of the Earth, travelling further back in time the longer they travel - is so imaginative. This is a journey that leaves you hoping there will be other adventures, a return to the strange alternate realities found through the door in the girls' grandmother's cellar, activated through crystals and a mirror. The relationships are also very special in this story as are the mythical creatures of old who are given a bit of an extra special twist. 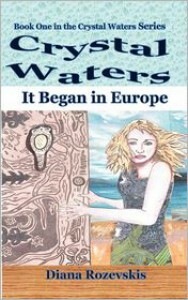 Ideal for young teenagers who love fantasy and perhaps have a passion for history and myth. Loved this book - so clever and exciting to read when you are a child and have never thought about the possibility of alien visitations before. I love to write in rhyme! 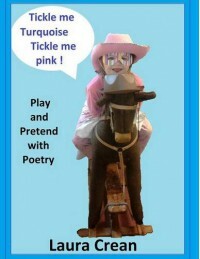 I don't always write my poetry in rhyme but for most of my children's poetry I do. This is because Children love rhyme, especially young children. They thrive on repetition and routine and believe it or not kids love ryhthm. It is an ideal way to teach children to read as the patterns and blends in the words will help children to recognise and remember how to read them. 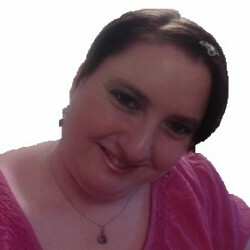 My children's books aren't designed as a reading scheme but as an interactive 'sharing' experience with adults. I believe in reading to children from a young age - children absolutely love to hear an adult read a favourite book (especially at bed time)and poetry and nursery rhymes are their favourites. leave Mum in a daze. set the school run ablaze! but I know when its home. as the feeling just grows. will make Mum's things break! then I'm sent to bed. and so can a song. 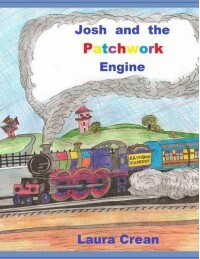 Josh and the Patchwork Engine is a Yellow book in the Rainbow Rune Series. In this story young children can begin to enjoy my fantasy realm 'The Realm of the Purple Dragon' and the colourful characters that reside there. They will be able to relate to the child characters who are transported to this magical realm - in this story a little boy called Josh, who loves trains and gets to drive a very special colourful train, picking up lots of pixie passengers in the Realm of the Purple Dragon. This book is still in rhyme, so as your child grows too old for the toddler 'red' books they will still enjoy the repetition of the story and being 'read to' at bed time or in a quiet moment when you choose to bond with your child through reading. The books in the Yellow Rainbow Rune Series are Picture books with longer sentences, concentrating on feelings, friendships and identity. They are for your younger school aged fantasy adventurers. 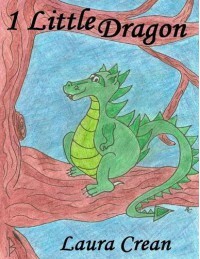 They are the next step up from the toddler books, still in rhyme but with simple fantasy stories mainly set in the Realm of the Purple Dragon. These books will be enjoyed by infant school children and some junior school children. 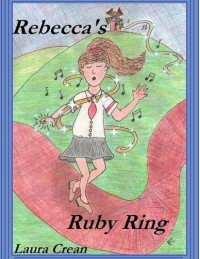 Rebecca's Ruby ring is a Yellow book in the Rainbow Rune Series. In this story young children can begin to enjoy my fantasy realm 'The Realm of the Purple Dragon' and the colourful characters that reside there. They will be able to relate to the child characters who are transported to this magical realm - in this story a little girl called Rebecca, who loves to sing and dance and is able to help out our Little Green Dragon Grifin who finds himself a bit stuck in a windmill. 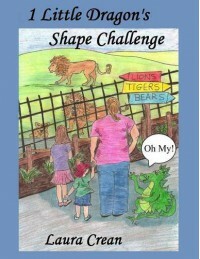 1 Little Dragon's Shape Challenge - Lions and Tigers and Bears Oh My! This is the third book in the Red Rainbow Rune Series and introduces your toddler to shapes. This is a simple story told in rhyme - toddlers thrive on repetition so this book is ideal to read to your toddler whilst they are learning their shapes, colours and animals and there is a lovely picture in the back of the book to colour in. Little ones learn about the world (and this includes learning to talk) by putting things into categories. This is a lovely educational story which also has an opportunity for adults to talk about not only shapes but colours and animals with their toddler. This will help develop your child's intellectual skills including language skills and maths skills by learning about shapes and categorising the shapes, colours and animals. The Red Rainbow Rune Series is for your younger Fantasy Adventurers. These books will be big and bold with bright and colourful characters and will help your youngsters learn about early numbers, letters, shapes, colours and other early learning experiences. 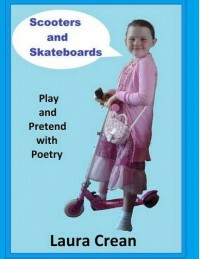 These books will be enjoyed by pre-school children and some infant school aged children. 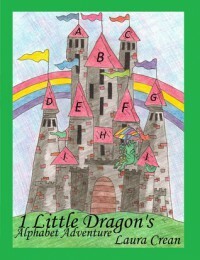 This is the second book in the Red Rainbow Rune Series and introduces your toddler to letters. This is a simple story told in rhyme - toddlers thrive on repetition so this book is ideal to read to your toddler whilst they are learning their letters and there is a lovely picture in the back of the book to colour in and a simple recipe for jam tarts. This is a lovely educational story which also has an opportunity for adults to talk about feelings with their toddler as Grifin misbehaves and feels sorry for his behaviour at the end of the story. This chance to interact continues as you can then do some simple baking with your child. This is the first book in the Red Rainbow Rune Series and introduces your toddler to simple numbers to 10. This is a simple story told in rhyme - toddlers thrive on repetition so this book is ideal to read to your toddler whilst they are learning their numbers and there is a lovely picture of Grifin in the back of the book to colour in. 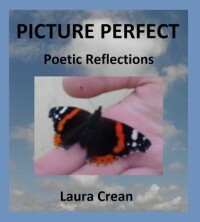 Rather than review my own poetry I thought I would just reproduce one of the poems from the book. sewn with a needle of gold. sewn with a silver lining. hiding in shadows, stealing innocence. opened in the heat of passion.